Looking for a medium-sized room for an upcoming meeting? Or maybe you need several thousand feet of floor space with 38 foot ceilings for a dance? The Air Group One hangar at Gillespie Field is available for your group. 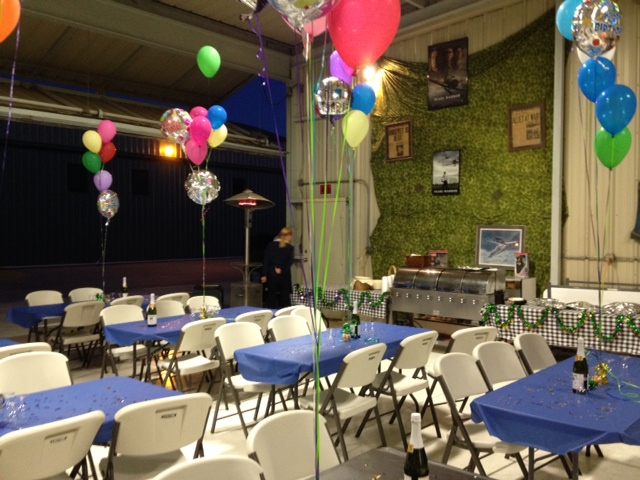 Our hangar has been used by groups for annual parties, weddings, celebrations of life, as well as band performances. For more information, fill out the form below and we'll contact you.